Many children who suffer from congenital, hereditary, or severe acquired renal disease have a substantially diminished number of functioning nephrons. Loss of nephrons cannot be replaced by new units, and recovery is impossible. Consequently, according to the patient’s age, different diseases enter a common pathway of progressive renal dysfunction called chronic renal failure (CRF). Further deterioration is associated with clinical symptoms and loss of metabolic control. End-stage renal disease (ESRD) is reached when survival is possible with only renal replacement therapy. Aside from all medical and psychosocial care during CRF and ESRD, renal transplantation is the ultimate goal to optimize rehabilitation and lifestyle. 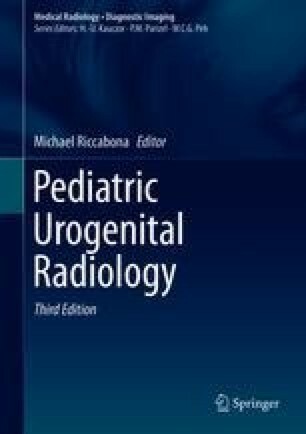 This chapter is devoted to these children who need lifelong multidisciplinary care and treatment, including pediatric radiology.